Showing results by author "Sharon Johnson"
The trail heats up in the search for the mole hiding within the Hive, but, in the game of espionage, there is always another game being played just below the surface. New passions heat up and take center stage as we continue Dominic's journey to a new life. Dominic has spent his entire life fighting and hiding. After leaving the Marine Corps he is embarking on a new chapter in his life, cutting all ties to the man he was before. He's in a new place, with a new name. But some ugly truths from his past, truths he thought were long buried, will come back and these truths are refusing to be ignored. DeMatteo Santiago is the alpha of one of the largest prides in North America. He is a young, successful lion shifter, surrounded by a large family and his devoted lover. By anyone's account he has more than any one man can ask for, but his lion cares of nothing except finding their mate. An unexpected business trip pits DeMatteo and his long awaited mate on opposite sides of the courtroom. But when challenged by ex-lovers, nosey siblings, and crazy hunters, DeMatteo realizes that finding his mate was the easy part. I watched him being born on my back porch and knew immediately that something was different. This small black kitten could not walk on its back legs. Could it survive? And how could I help this poor little kitten? Fate put me at the right place at the right time. Our lives were forever changed for the better. Midnight, as the kitten came to be known, survived all the odds and we have had a wonderful journey with his new wheelchair legs. 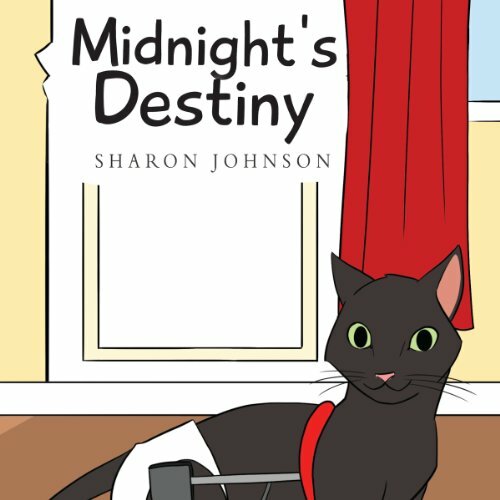 This is a story about a special cat named Midnight.